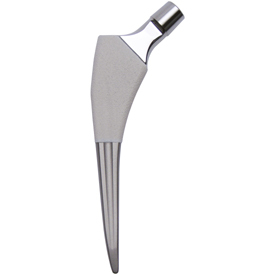 MASTER SL is an uncemented tapered-wedge primary stem based on biomechanical self locking principles. It is the evolution of the current Lima SL stem (in use since the 80s) with improvements to the stem sizes, the addition of a lateralized option and a contemporary, intuitive instrument set. MASTERSL is an uncemented tapered-wedge primary stem based on biomechanical self locking principles. It is the evolution of the current Lima SL stem (in use since the 80s) with improvements to the stem sizes, the addition of a lateralized option and a contemporary, intuitive instrument set.